After many years of driving used cars (and all that comes with it, good and bad), I was ready to spring for something new. I actually enjoy car shopping – researching all the makes and models, reliability, available options, the test drives. In this particular situation, I knew that I wanted a reliable vehicle that would hold up to the varying weather conditions of the region, had enough room for a growing family, provided decent fuel efficiency, and that would last for years with peace of mind due to an industry-leading warranty. I had it all figured out, including the significant savings promised by a dealer outside my state of residence! While I had done my due diligence in planning ahead, the experience took an unexpected turn once the car buying sales experience was introduced into the mix. Successful businesses share one quality that is often obvious to customers – a positive customer experience. As business owners (or managers), it’s critical that we design a positive Customer Life Cycle so that our customers experience the same outstanding experience every time they seek out our product or services. While the Customer Life Cycle may be designed different from company to company, there are some key proven concepts that work. We’ve all seen a deal that is too good to be true. While some of us may see right through the offer, the offering was still enough to capture our attention, even if it were for a brief moment. If we expect to sell a product or service, we have to first capture the attention of a consumer. Nearly every day of the week I receive residential mailers with eye-catching images and value coupons. Some companies attend local events and set up a booth with an enticing backdrop and give out promotional items. At my local ball park there are banner ads displayed in strategic locations for exposure. Other companies sponsor creative local television or radio ads with exciting offers. All these examples are designed to capture the consumers’ attention, but they may provide limited benefit (unless you are simply designing a ‘Top of Mind Awareness’ campaign) unless there is a call to action. The call to action mentioned above is most effective when gathering basic consumer information. Simply sending someone to your website is good for general information, but if there is no way to gather their information on the website (name, phone number, email address, etc) or a strategy to get the prospective customer to call you, then you have no way to nurture those that have been ‘hooked’. In essence, you could be spending your marketing dollars on a pretty picture without any real increase to your revenue as a result. There are many creative ways to capture leads, and much of it depends on your end goal. 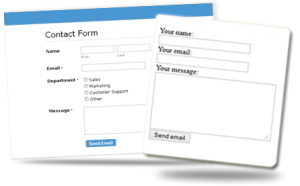 For example, a contact form on your website is a great way to capture basic information about the prospective customer, but remember that less is more – requiring too many fields may turn off a lead from completing the form. Many companies create quality content, such as insightful infographics, detailed eBooks, product or service videos, and more, all offered for free with the intention to capture the consumer’s email address or phone number for follow up at a later date. Whatever your hook may include, be sure to find a way to capture your leads for follow up – it’s worth your time now and in the future. Unless your product or service is entirely built on an ‘impulse buy’ concept, there’s likely an education and nurture process that is expected to make a sale. As previously stated, it’s critical that a point of contact is established, such as a phone number or email address, so that you can provide ongoing phone conversations or text/email campaigns to continuously educate and nurture a prospect prior to making a sale. There’s a balance between too little or too much contact, so before turning on the fire hose and flooding the prospects with information, determine what their needs and situation may be. There are many marketing software platforms that provide tools for this very purpose, and in many cases automation can be introduced that allows the prospect to control how frequently they are contacted. You will need to determine how much nurturing is necessary prior to setting up a campaign; in general, the higher the dollar of sale, the longer the nurture process. Almost nothing is worse than a pushy salesperson. While pushing leads into a purchase may ultimately result in a sale, a high percentage of those customers will never return with repeat business. Find an effective way to turn prospects into customers by providing strong offers and overcoming objections, all without becoming the pushy salesperson. There are positive sales techniques that revolve around providing a comfortable customer experience. There’s a key phrase that has become a focal point in many companies regarding sales – “Under-promise and Over-deliver”. Most sales are built on relationships and trust in one form or another, which is primary built on consumer experience from the magnet and Nurture stages. When it comes time to close a sale, all aspects of what is being sold should be clear and defined, and in most cases should also align with what has been offered in the previous stages of the Customer Life Cycle. [imageframe style=”bottomshadow” bordercolor=”” bordersize=”0″ stylecolor=”” align=”right”] [/imageframe] The delivery of a product or service is critical for profitability of a business. Without successful delivery, repeat business would not exist. The ‘Under-promise and Over-deliver’ principle is a proven method for success, and while it may expend additional energy on the part of your business, you are building trust and brand loyalty. You don’t necessarily want to under-promise to point that the consumer doesn’t see any value in your proposition, thus having no sales opportunities to begin with, but it would be well worth your time to provide an experience or result that exceeds what the consumer was anticipating from the Magnet or Nurture stages – or at the very minimum, meets it. 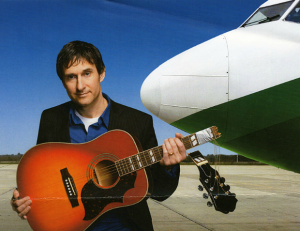 Never overpromise and then not deliver; in today’s world of technology and social media, a reputation or customer experience can make a huge impact, for good and for bad (‘United Breaks Guitars’). Happy customers make great repeat customers, and a great opportunity for an upsell. Consider your product offerings, and determine if there are ways that you can provide more services to your happy customers. This could come by way of additional products or service offerings, warranties, etc. Develop a long-term upsell strategy designed to grow the value of your customer over time. Be creative and see what opportunities you may have to open a new revenue stream for your business. You may be surprised at what you find. Happy customers give the best referrals. It’s proven that positive Word of Mouth provides some of the highest close rates for sales. If your company has not considered a referral program, it may be to your benefit to take a look at what you can offer. Some companies offer discounts off future product and service purchases through providing referrals; some offer prizes, gift cards or products for referrals that become customers. There are many ways to structure referral programs, and while a successful implementation of a referral program may require an investment upfront, often the payoff in the end greatly outweighs the initial investment. Where appropriate, referral introductions (face to face, via email, etc.) can go even further. If a customer has a positive experience, they will seek out that same positive experience the next time they are in the market. If the same positive experience occurs again, they will begin to relate your brand with that positive experience, and ultimately you begin to build brand loyalty. Designing a positive Customer Life Cycle can be a lot of work. It requires a well thought out plan, and consistency over time, but if designed right, it almost always pays off in the end. I won’t bore you with the fine details of my car buying experience, other than the fact that I did eventually find the right dealer for my car. I love a good car buying story, so let me know how any experience you may have had fits with the 7 steps of a successful customer life cycle.